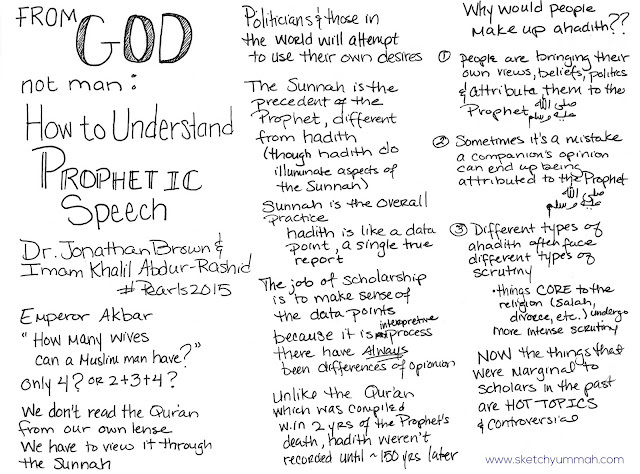 More from my (cough) overdue series of notes from Al-Madina's Pearls of the Qur'an 2015 conference. All of the "from the program" portions are taken from the handy-dandy Pearls 2015 app, which was super useful during the conference, and is clearly still pretty useful even months later. The Qur’an repeatedly commands every Muslim to follow the Prophetic example. The Traditions (Ahadith) of the Prophet, often more than the Qur’an, govern Muslim life in their ability to articulate practice of the faith. The Hadith provide the information to follow the example of the Prophet as a spouse, a parent, a neighbor, a leader, and when needed, a warrior. In sum, Muhammad as the paragon of perfection, as enshrined in Islamic doctrine and spirituality, hinges on his words. 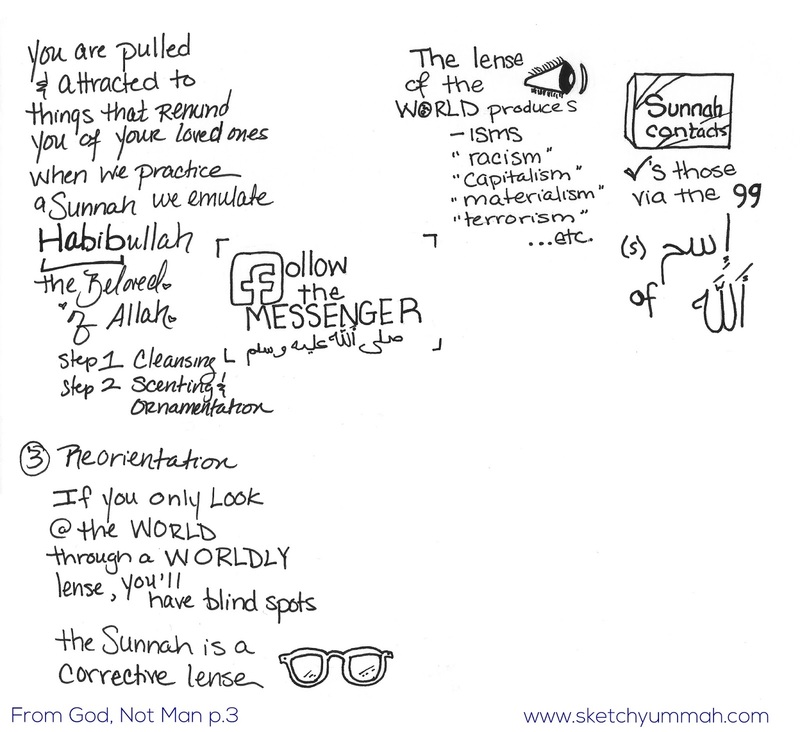 How are Muslims to understand not only his words but the spirit from which they emanate? More directly, what are the practices in our emulation that lead us to follow his example and not speak from mere desire? How do we infuse our spirits and words with those inspired by the scripture and its revealer? I also JUST stumbled upon some videos from the program, which I must say are MUCH clearer than the cellphone recordings I was just checking my notes against.